If colleagues in your office view your Qwilr Pages, by default those will be tracked as views if they're not logged in. 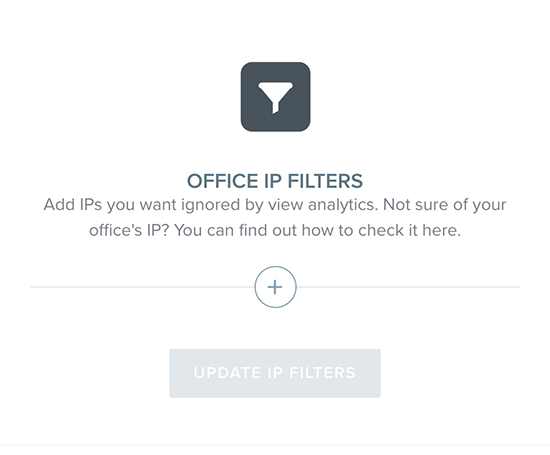 With the filter IPs option, you can automatically remove your office IP from being tracked. Note: This feature is only available to Enterprise accounts. Setting up the feature is also only accessible to admin accounts. You can enable the use of the feature from any account type. 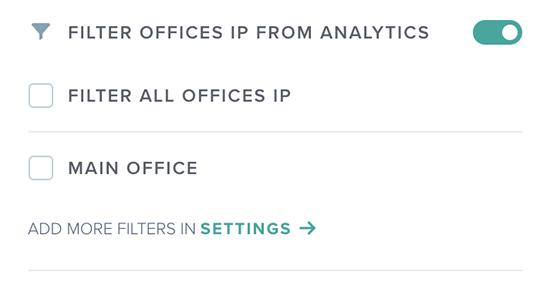 To get started with this feature you'll want to first find your office IP (or IPs if there are multiples). Your network administrator should be able to provide it, but you can always go to What's My IP to show the IP address registered to your computer. Please make sure you have either a static IP, or if it's dynamic you'll need to update the IP whenever it changes. Again, your network administrator should be able to provide that information. To add an IP address, head to Settings → Account . 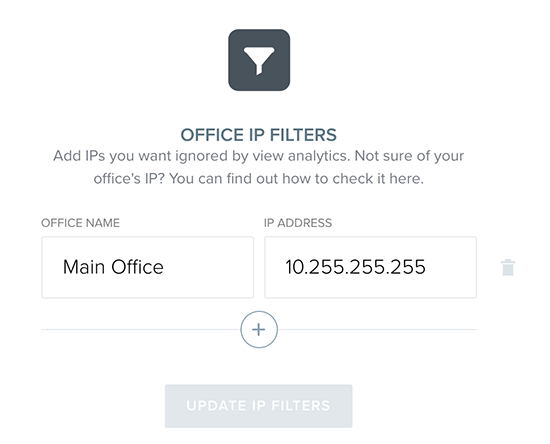 Scroll to the bottom of the page and look for the "Office IP Filters" section. Click on the + sign to add a new filter. From there you'll see 2 fields. Add in a name for your IP so you can identify it, and the IP address itself. Then click the update button. If you have additional IPs to add repeat the process. 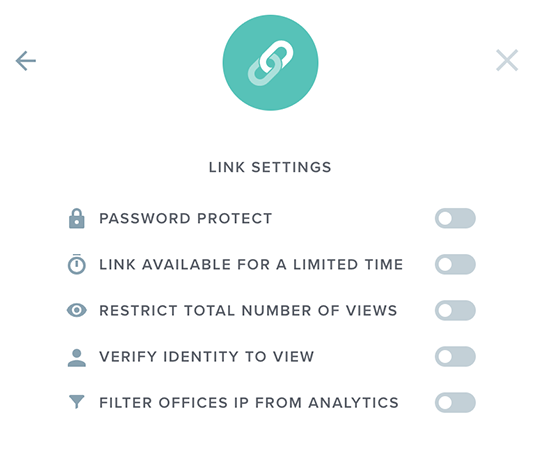 Once you've added your office IPs, you'll be able to start filtering them from views. This is applied on a per Page basis. Click on the Share button for the Page you want to edit, either from the dashboard or from the edit screen. That will pull up your Share settings. Click on the add security option. From there you'll see a list of the security options. Toggle on the Filter option and you'll see a list of the IPs available. If there are no IPs available you'll see a link to the settings page to add them. Choose the IP you want to restrict and you're done. We'll no longer track views coming from that IP.